Wow! How exciting! I really enjoyed this one too. It was short and a touching and emotional story. 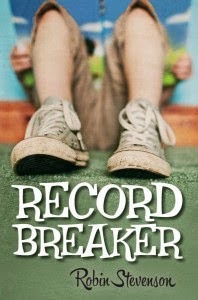 If you'd like to read my thoughts on this book, check out my Marvelous Middle Grade Monday post on Record Breaker. I loved all the insights into photography in this book! It made me want to get outside with my camera. When Lucy's family moves to an old house on a lake, Lucy tries to see her new home through her camera's lens, as her father has taught her -- he's a famous photographer, away on a shoot. Will her photos ever meet his high standards? When she discovers that he's judging a photo contest, Lucy decides to enter anonymously. She wants to find out if her eye for photography is really special -- or only good enough. This is a quieter story but if you like books about family, nature and friendship, you will enjoy this book. There are many elements in the story to relate to: wanting to win a contest, worrying about whether a new friend really wants to be your friend, and confusion over just what is happening to an elderly person you care about. Lucy’s parents were clearly part of her life and a source of support and conflict. As a writer, I thought this was a great example of a middle grade novel. The voice was most definitely middle grade, as was the perspective of first person narrator. I loved all the details from nature in this book, especially the loons. It made me think about the words I use to describe interactions with nature. “Lucy, we’re going to love this place!” Dad called to me from the porch of the faded, red-shingled cottage with white trim. Cynthia Lord has been writing ever since she was a child. She has her own writing “shed”, as well as two bunnies, a guinea pig and a dog. One of her previous books, Rules, was named a Newbery Honor book. For more, visit Cynthia Lord’s website. If you also write middle grade like I do, you'll find examples that discuss middle grade and YA books. There is also an interesting agent spotlight with Jodell Sadler on KidLit411. Today is a holiday up here in Canada -- Victoria Day! I don't have a Marvelous Middle Grade Monday post, but maybe having a day off will give me a chance to catch up on some reading. You can find a list of reviews of some great middle grade reads over at Shannon Messenger's site. Along with reading, I plan to enjoy some outdoor time, now that the weather is finally nice enough! Wishing you a wonderful day, whether you're writing, working or just hanging out! I saw this book mentioned in various places and decided it was finally time for me to read it. I found a copy online through my public library. 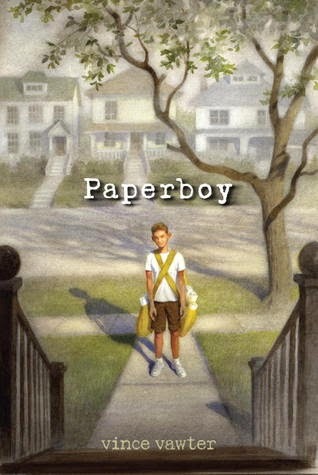 I’m not surprised that this book was a Newbery Honor book, because it really stood out from other middle grade novels I’ve read. The writing style and voice were unique and the characters came to life with all the realistic details of the late 1950’s. From a writer’s perspective, the opening line really drew me in. It’s a great one to think about if you are working on getting yours right. This story also has a very distinctive voice for the first person narrator. It’s worth studying to see how word choice and phrasing help to create his voice. The narrator tells us in chapter 1 that he hates commas and leaves them out of his typing whenever he can, so that contributes to the distinctive writing style. Vince Vawter is a retired newspaper editor who lives on a farm in Louisville, Tenn. This is his first published children’s book. I was so interested to read the author’s note in the back of the book that explains how Vince has a stutter and how he learned to overcome it. No wonder the book and main character seemed so realistic! For more, visit Vince Vawter’s website. I've recently been listening to the Great Kids, Great Reads podcast, hosted by Kevin Sylvester (author of the much-loved Neil Flambe series of middle grade books). Great Kids, Great Reads features booksellers talking about some of their must-read children's books, including picture books, middle grade and YA. I found the booksellers' perspectives really interesting. 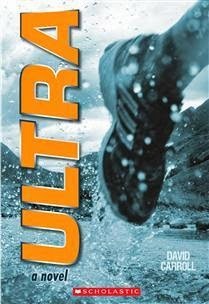 They give some insights as to why some books might appeal to readers and who the target readers are for specific books. Only a few books are featured on each podcast, so it's a great length for listening to on a short walk or drive (or while washing your kitchen floor). The podcasts are organized by themes. A recent episode I listened to was all about books touching on mental health issues. You can find out more about this podcast at their Facebook page. They also list the books they've featured. The archived podcasts are available on the Great Kids, Great Reads website. 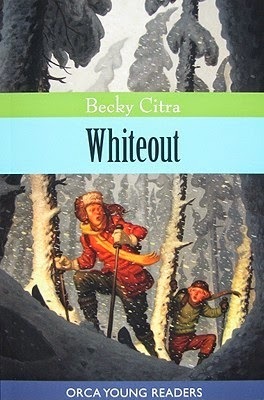 Sometimes I visit my public library’s online bookshelf and browse for an e-book, and that’s how I found Whiteout by Becky Citra. I’m always drawn to stories where kids are put in dangerous situations and need to survive. The complicated relationship between Robin and her cousin April hooked me and kept me reading through to the end of the story. This is another story where the parents are involved, though not so much that the main character, Robin, doesn’t try to solve her own problems. 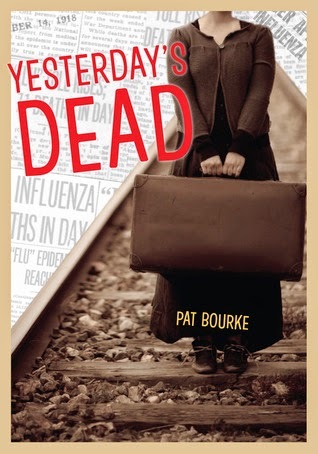 I liked the details of everyday life in this story, including school and caring for horses. It's a good read for 8 to 11 year olds. This story follows a fairly typical plot structure, so it would be a useful read for a writer who is working on learning how to plot a novel. The emotions of the characters and their reactions seemed so appropriate for the age group. 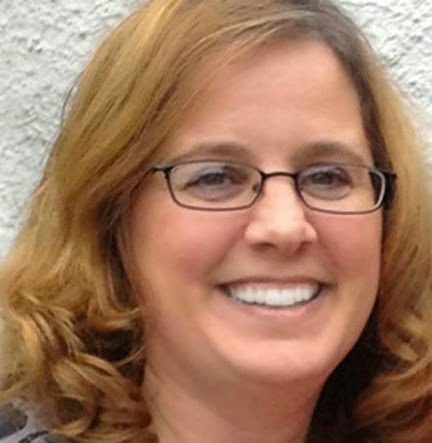 Becky Citra's blog is full of great tips and advice for writers and book recommendations. I've featured one of her books, Missing, for Marvelous Middle Grade Monday last year when I read the books nominated for the 2013 Silver Birch Fiction Award. I love the idea behind this! It reminds me that it's important to have fun while I'm writing. I know that once I get an idea, I sometimes rush into following one path, rather than taking some time to daydream and see what other directions or possibilities the words or characters can lead me to discover. By giving the words, characters or ideas more time to dance freely, who knows what will happen?